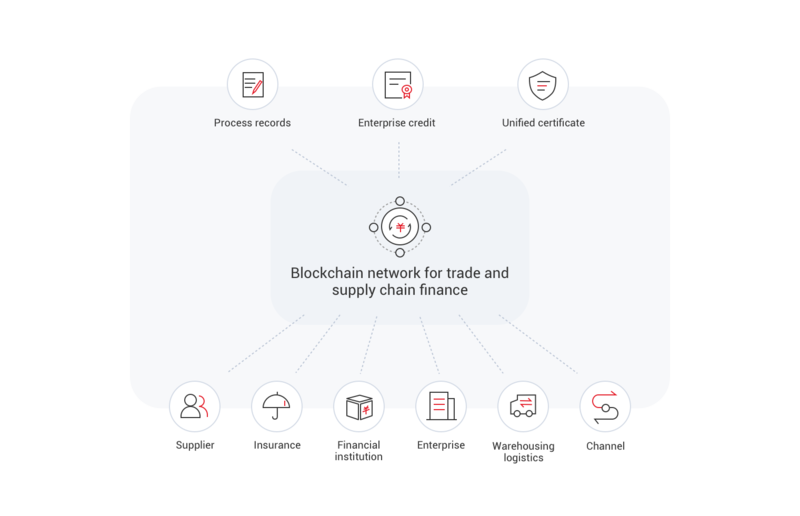 Blockchain Service (BCS) is a highly available and secure blockchain platform allowing enterprises and developers to conveniently create, deploy, and manage applications with the superb performance and cost-effectiveness of HUAWEI CLOUD. Uses decentralized, tamper-proof, shared ledgers to ensure transparency and fairness, helping SMEs improve their credit ratings while cutting risk management costs. Shared ledgers allow all parties to use and recognize the same set of data, streamlining the financing process. Complete recording and tracking of logistics, information flows, and capital lower risk management and financing costs. Fair and transparent transactions help SMEs improve their credit ratings and ultimately obtain preferential interest rates for loans. Each party can maintain ledgers, ensuring real-time and authentic data updates, and use product-unique tracing codes, ensuring authenticity of commodities and the distribution processes. Commodity and distribution information is encrypted in the blockchain, preventing tampering. Unique commodity codes in the blockchain make it possible to completely and transparently record ownership and distribution. Tamper-proof, transparent ledgers allow parties to understand commodity distribution and facilitate supervision by regulators. 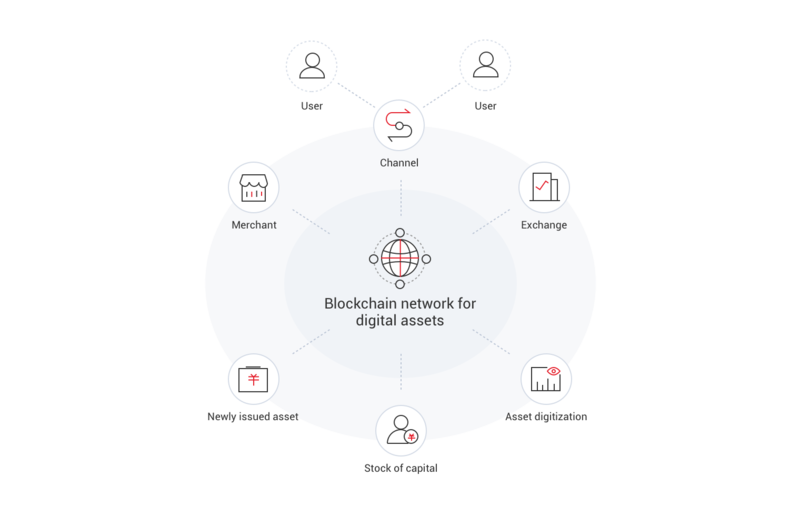 Automated transaction capabilities such as asset ownership confirmation and accounting reconciliation support efficient exchange of digital assets and prevent in-chain falsification. Each asset, with an immutable timestamp, is registered publicly, facilitating tracking of asset permissions. Trust, sharing, and security and privacy protection ensure smooth distribution of digital assets. Tamper-evident ledgers prevent falsification risks. 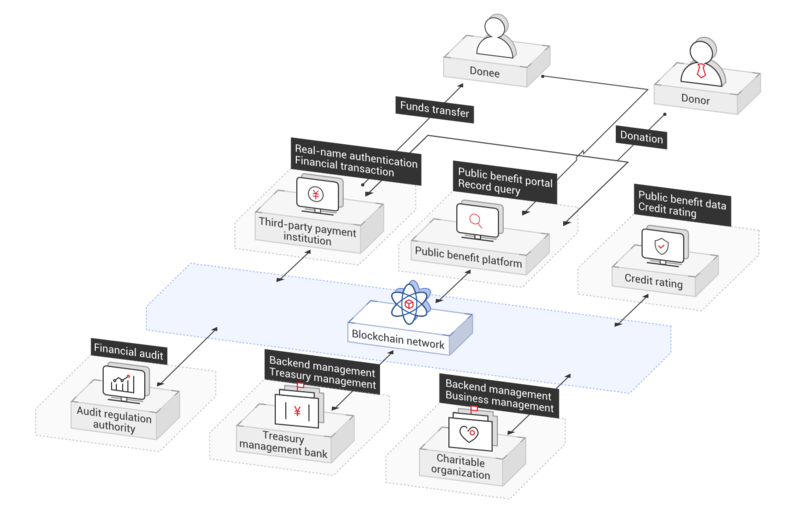 Funding is traceable and information is open, transparent, and shared across the entire network, resolving trust issues between organizations. Shared ledgers break down the barriers among people and organizations. Smart contracts enable automatic transaction execution. Distribution, use scope, and even validity period of capital are effectively controlled. Algorithm-based consensus between parties at all blockchain nodes makes transactions open and fair, improving mutual trust. Reduces blockchain deployment time from days to minutes. Cloud tenants are invited to form consortia. 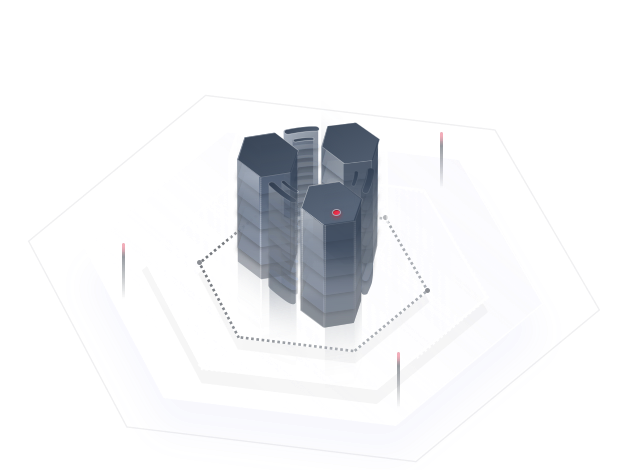 Each tenant has a separate VPC, ensuring security and controllability. Provides multiple consensus algorithms to adapt to diverse scenarios. Adopting Huawei's best practices, deployment time is significantly reduced and configuration is primarily automated, saving time. The high availability, high performance, and secure blockchain system is ready for immediate use. Users can focus on their business, without concerning themselves with the underlying technologies or having to invest in platform construction. Consortium blockchains can be formed dynamically. Consortium members share the blockchain network costs. Solo requires only one node for transaction ordering. It does not support byzantine fault tolerance, but features quick startup and resource saving. FBFT is a consensus algorithm with high performance and availability. It requires at least four nodes for transaction ordering and tolerates byzantine faults at a maximum of (N – 1)/3 nodes, where N indicates the total number of blockchain nodes involved in transaction ordering. For example, assume that there are seven nodes. Transactions can be correctly ordered if not more than two nodes experience byzantine faults. This algorithm is recommended in the production environment. This high-speed consensus algorithm orders transactions based on Kafka/Zookeeper, tolerating crash faults on just under half of all nodes. Supports auto scaling of peers and orderers to meet high availability demands without needing a system reboot. Allows chaincode mgmt. on the web throughout the entire lifecycle, including viewing, installation, and instantiation. Offers an open platform to monitor data and resources, generate alarms, and send notifications in real time. Compliant with Kubernetes; support for masters, shared storage, and node fault recovery. Docker containers run on nodes and can be seamlessly scaled out based on user requirements without interrupting services. 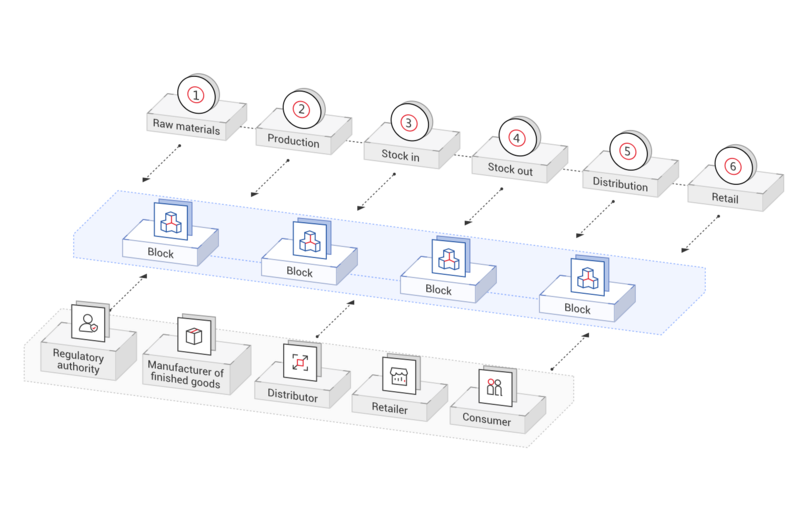 Executes active upgrades on the underlying blockchain platform and updates patches automatically to seamlessly integrate with the HUAWEI CLOUD O&M system. Performs multi-dimensional monitoring on clusters 24/7, and supports user-defined alarms across multiple channels.